Lady Gaga’s new album “Joanne” had a raw, Americana feel to it. And there’s nothing more American than the dive bar. 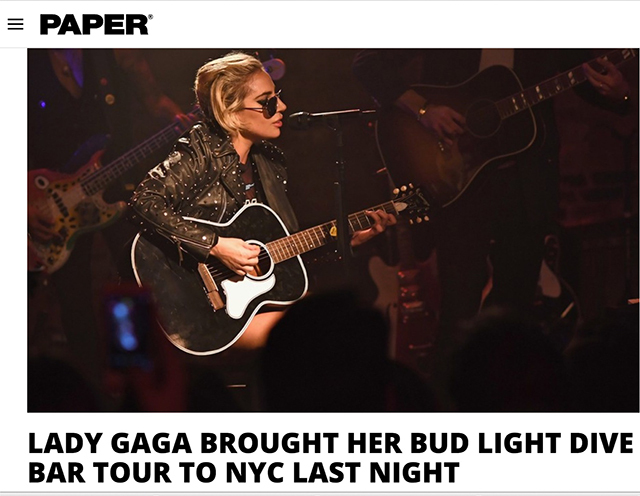 So to launch “Joanne”, instead of traveling from huge arena to huge arena, we took Lady Gaga to dive bars across America, where she played her new music for the first time for crowds of a couple hundred. The shows were also livestreamed at home to millions and became the most-watched Facebook Live event ever. 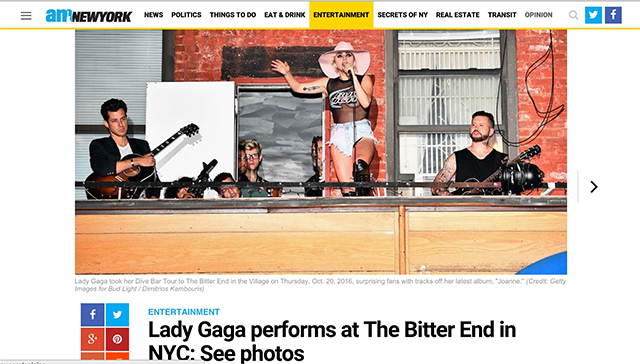 The tour included three live productions (Nashville, New York, and LA), music videos for four of the songs, and many more social assets to maintain excitement throughout the month.